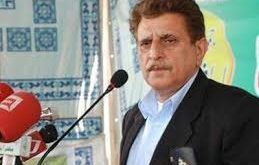 MUZAFFARABAD: (Parliament Times) In Azad Jammu and Kashmir, on the direction of AJK Prime Minister, process of preparation of project of Solid Waste Management in all the major cities of AJK kicks off. It was decided that rising pollution in the cities would be checked by putting ban on polythene bags that are the main source of filth and dirt in the cities. Official sources told that the Premier had also issued directions to commissioners of all the three divisions to ensure neat and clean atmosphere in Azad Kashmir especially at picnic resorts where tourism come to spend their time in summer. They have been asked to take steps to ensure the protection of atmosphere with the onset of new season. The sources said government desperately realized the need of effective measures for safely disposing of waste material without causing any dirt to the cities or surroundings.